As women approach menopause, the dropping levels of estrogen in their bodies cause a number of significant changes. These fluctuations affect memory - it becomes much more likely for small things to slip women's minds. Memory loss may already be a source of worry for some women, but luckily, there are a few ways to measure memory capabilities. Whether you are worried or just curious, these tests for memory problems can help let you know how your memory is working. There are several ways to informally test your memory at home. It is important to note that none of these tests can provide any information about any potential diagnoses. They are simply to give you an idea of how your memory works. 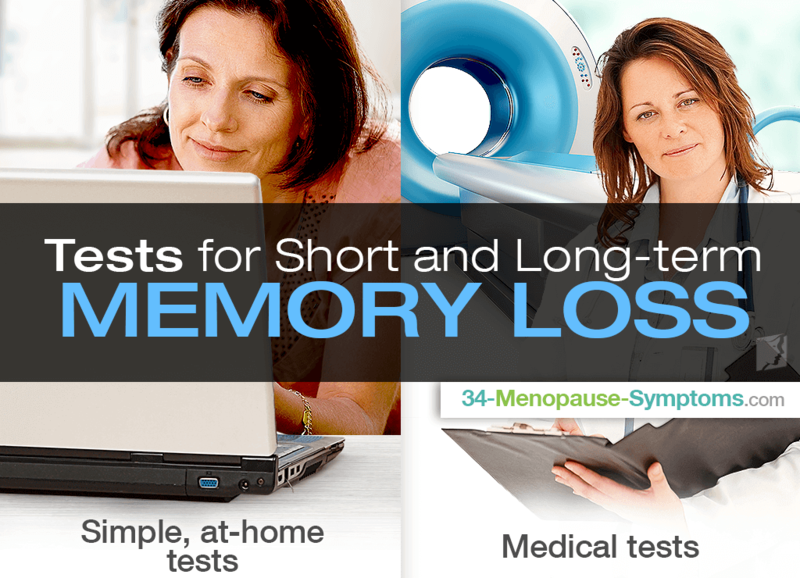 There are many tests for short-term memory loss available online. They can range from fun quizzes on game sites to scientific studies on reputable academic websites. While none of them can provide you with any sort of official diagnosis of how well your memory works, many of them - especially the scientific studies - will allow you to see how your results compare to others.One such test is the test of multiple memory types, which was developed by researchers to investigate short-term memory among different groups of people. Unfortunately, long-term memory is much more difficult to test and study. There are no established parameters for the normal amount of information to have stored in your long-term memory about any past event, which makes it difficult to create a test that quantifies this memory. This is why no verified long-term memory loss tests can be found online. However, there are some exercises than can provide clues about how well your long-term memory works. One study of long-term memory asked participants to try recalling the names of classmates from their graduating class, which could be done at home as a memory test. Other possible exercises could be comparing recall of past events with a friend or family member who was there as well. The second option also allows for a comparison against another person's memory, making it a more useful way to understand how your memory compares to others'. For those who suspect a more severe memory impairment, there are also medical tests for memory loss that can be performed by a doctor. With these tests, there is generally no real distinction between short-term and long-term memory function. These tests can provide information about medical conditions that may be causing memory difficulties. There are several tests designed as a series of activities and interviews that can provide a doctor with more information about your level of mental functioning. These tests are about more than just memory, and they tend to be used most often to test for dementia; however, they can provide an idea of how your memory is working, as well. A common test is called the mini mental state examination (MMSE). Many doctors will also perform brain scans, such as an MRI or a CT scan, on patients suffering from memory problems. These scans may show whether something like a tumor is growing in the brain and affecting memory. They might also be able to help a doctor diagnose dementia, if that is the cause of the memory loss. Although blood tests might not seem like they could reveal the cause of memory loss, several conditions - like low levels of vitamin B12 or a problem with the thyroid - can affect the memory and can be discovered with a blood test. With these tests, you should be able to determine a bit more about the type of memory problems you have and what might be behind them. To learn more about memory loss, click here. The inability to recall pieces of information is the basic definition of memory lapses. Learn more here. Menopausal memory loss can be vague and difficult to diagnose; keep reading to learn more about memory loss and discover specific symptoms to look for.